﻿ East Harbor State Park Campground - Ohio. Find It Here. Ohios 1,831-acre East Harbor State Park, located on the shores of Lake Erie, has unlimited opportunities for outdoor recreation. Campers can enjoy boating, fishing, swimming, and picnicking. Nature enthusiasts will enjoy the abundance of waterfowl, shorebirds and other species of wildlife found in the parks scenic wetlands. Wi-fi is available for a minimal fee. 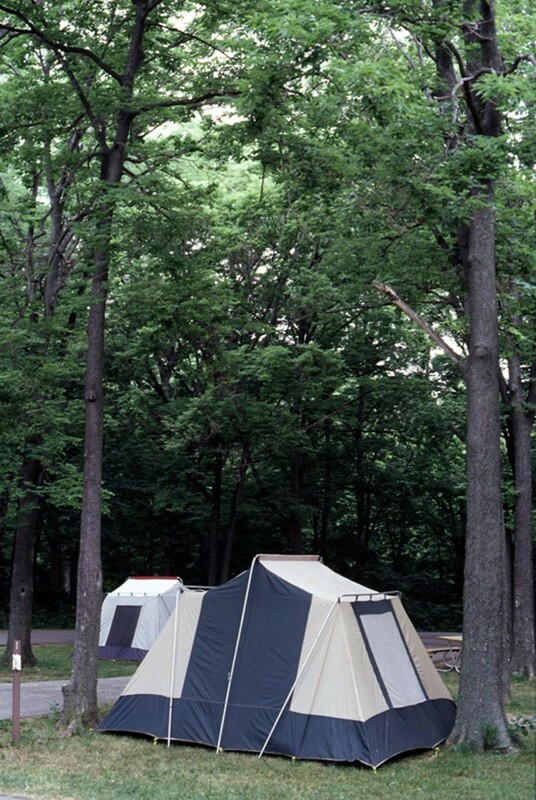 The campground at East Harbor is the largest in the Ohio State Park system. Over 300 electric sites, 50 with full hookup, over 150 non-electric sites. Showers, flush toilets, dump station, 2 launch ramps (just for campers), camp store. Pets permitted on all sites. Bike rentals and games/sporting equipment at camp store. Fish cleaning building for campers. 10 group camp sites and 1 yurt available for rental. Many short, easy hiking trails, snowmobile trails, prime birding location. Nature center and has seasonal hours.